Let’s talk about Docker inside the datacenter.. If you are a datacenter administrator and still scouring through a spreadsheet of “unallocated” IP addresses, tracking asset and service tag of your individual computer hardware systems, maintaining quite complex documentation of the racks, devices, links and network resources you have in control etc., you definitely need a robust asset management tool. Racktables is one of the most popular and lightweight tool which you can rely upon. Racktables is a smart and robust solution for datacenter and server room asset management. It helps document hardware assets, network addresses, space in racks, networks configuration and much much more! 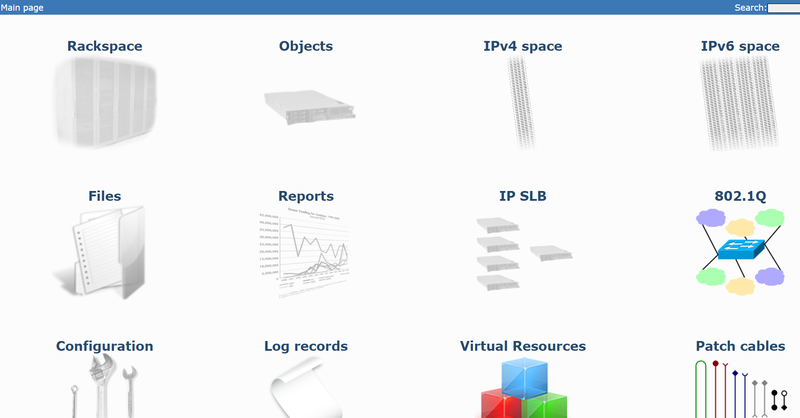 Shown below is the screenshot of Racktables elements which comprises of Rackspace, Objects, IPv4 & IPv6 space, Virtual Respources, Logs, Configuration settings, IP SLB, 820.1Q, Patches & Cables. 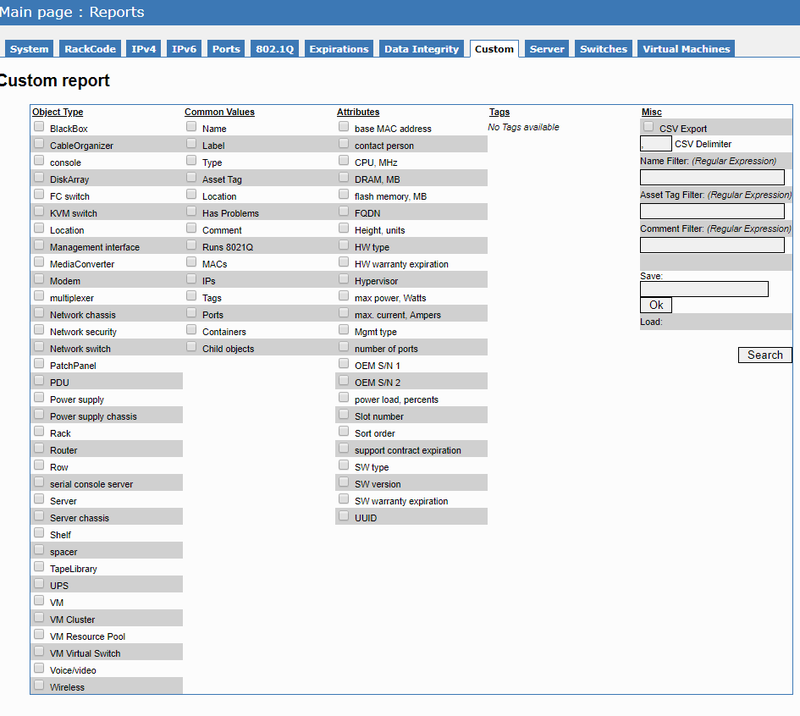 Shown below is the reporting plugin which we are going to integrate into Racktables all using Docker containers. In case you’re new, Plugins provide the ability to add functionality to RackTables and, in some cases, override existing behavior. See the racktables-contribs repository for user-submitted plugins. Racktables is a great tool based on LAMP stack. Sometimes it becomes cumbersome to install & manage this tool as you can expect great deal of dependencies around its packages for various distros of Linux. If you visit https://www.freelists.org/list/racktables-users , you will notice numerous issues faced by first time Lab admins to build this platform with desired plugins and manage them. To simplify this, I started looking out how to build high persistent Racktables tool along with plugins integration & reporting capabilities. All you need is a Dockerfile & Docker compose file which brings up microservices together to build up Racktables tool. Under Dockerfile, you can add plugins of your choice. Under this example, I have added Reporting plugin so as to generate reports like who is the owner of the specific HW parts, how many number of specific types of components are present and so on.. Please don’t forget to add /?module=installer&step=5 at the end of the URL. Click on “Next”, enter your new password. Login as “admin” and “your new password”. That’s it. Here you have ~ your new Racktables tool installed along with Reporting + Data persistent capabilities. Did we talk about data persistence? Containers are ephemeral in nature. Depending upon your frequent changes, there could be chances that your container might go down anytime and your application become inaccessible. No worry…As data persistence capability is already implemented, you need not worry about loosing your data. Hope you found this blog informative. If you are facing any issue, feel free to raise any issue under https://github.com/collabnix/racktables-docker. In my future blog post, I will talk about additional monitoring plugins which can be integrated into Racktables using Docker containers.